When I heard this news, I feel so happy and relieved at the same time.I no no need to line up and need to take leave to settle my passport.So, I will not mumble over here, so here is how to renew passport? Step 1: Click a link below. Step 2: Read the Introduction page first before anything. - All information regarding Payment, collection date and time,specification of passport photo and terms and conditions will be appear here.Make sure you read it before proceed to press [Agree] button at the end of this page. -Application category will appear after you select [Agree]. Step 4: Follow the every page. - I'm sorry I can't show the details for you since I'm not renewing my passport for another 4 years. But, you can visit here for reference. 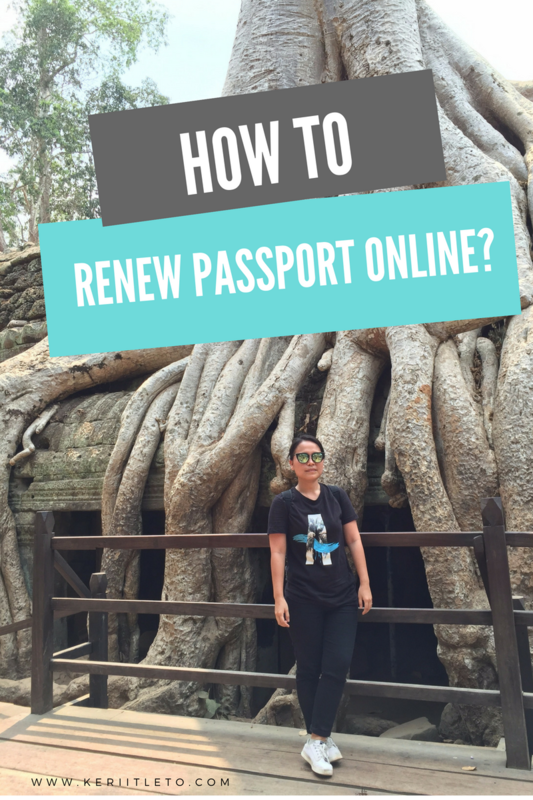 I'm sorry I cant give the details "how to" for this renewal passport online since I don't experience it yet. But, my intention for this post is to make sure you know about this matter and share what I know. If you have any comment, please do write me a comment.